‘Apex One’ – it’s difficult to think of a more confident, self-assured name for a new brand! This, in turn, translates into less pressure on security teams, lighter workload for security service providers, and less costly time and effort involved overall. But is this a solution the channel will want to sell? Is it easy and profitable to deploy and manage? And what makes it different from (and better than) what went before? You can read the full solution brief on our website, but meanwhile here’s our take on it. Trend’s existing XGen technology already automates threat detection across security layers and endpoints, including PC, Mac and VDI. But where even the most automated threat detection capability stumbles is the need to use multiple agents to deliver across different kinds of customer deployment – like cloud, on-premise, and hybrid. Here, Apex One plays a blinder. It has a single agent that is consistent across all customer deployment types, significantly diminishing deployment and ongoing management overheads, and reducing the risk of automation being devalued by interruption. Given the high proportion of enterprise clients who have complex hybrid environments, this has to be a winner! Detection and remediation: all done for you! But security channel partners and in-house security teams alike also need to be sure that what is being automated is the most effective way for dealing with the broadest possible range of threats. Inadequate protection delivered automatically is not a value-add! Apex One appears to be well ahead of the curve here, however, because it focuses its automation not on preventing threats (an impossible aim), but instead on detecting and removing them. Unknown or fileless threat? Machine learning and behavioural analysis will spot its threatening characteristics and take action. Operating system vulnerability? Apex One creates its own virtual patches to prevent zero-day exploits from making it onto any endpoint. And if you’re hearing echoes of EDR (Endpoint Detection and Response) at this point, it’s true that Apex One offers upsell potential into both Trend’s full EDR and MDR (Managed Detection and Response) solutions - but it’s also important to understand that what Trend have built here is in fact something quite distinct. Whereas EDR tends fundamentally be a noisy and manual process to manage (as we explained in this earlier post) automated detection and response - which is what Trend call it - neatly does much of it for you. The more you can understand about a threat, the more effective the measures you can take against it. But the challenge is in corralling all the threat information – including user-based visibility, policy management, and log aggregation - into one place, in a way that makes sense of it. Apex One has created a centralised console that enables exactly this, so although for some more detailed analysis a connection to an optional EDR dashboard is necessary, visualisation, investigation and reporting are already built into its standard configuration, adding an inbuilt layer of insight that other solutions don’t have. 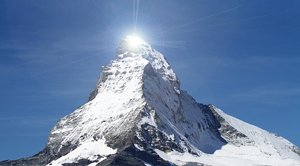 Conclusions: is Apex One the peak of security for channel partners? Everyone likes a great name and a strong story, and Apex One has got both in spades – not least because it is in fact essentially the new brand name for the existing Trend endpoint security solution within its Smart Protection Suites solutions family. But this is not some kind of rebadging exercise to revive a flagging solution – because Trend’s endpoint solution isn’t flagging. Just the opposite, in fact: it has received high praise from industry analysts like Gartner year after year, including in 2018. But coupling it with a single agent shows that there’s a strategic endgame in mind: to make Trend’s endpoint security solutions as effortless as possible to use across every client environment – and therefore very hard to displace. For end-clients and channel partners alike – and particularly existing Trend Micro Office Scan users, who will receive Apex One as a regular update at no additional cost - that’s a rebrand that will deliver far more than just a new name and a shiny logo. Posted in EDR, Endpoint Security, Security, Trend Micro. Tags: Security on 31/10/2018 by Mark Charleton. Which security trends are hottest, as seen by resellers and service providers themselves? As the sun blazed, we asked our network to pick some shining examples. What’s hot and what’s not? In the recent heat, it seems like the answer has been “everything” and “nothing” respectively! 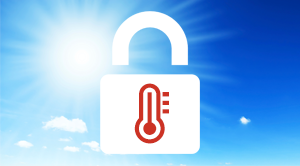 So, as the air-con went into overdrive, we decided to cool down with a quick summer straw poll of some of our resellers, MSPs, staff and consultants on what they believe to be the security trends of the season. This is how one partner responded, and his opinion is echoed by commentators in the industry media. IT ProPortal, for its part, includes in its predictions for IT changes in 2018 “the urgent need for continuous visibility and layered security…”. So, there now has to be dedicated defences and threat analysis at the level of each IT layer - including web gateway, endpoints, email, applications, and more. It’s worth mentioning that within this layered security space, we’ve seen a pronounced emphasis on the Endpoint Detection and Response (EDR) element recently. Bitdefender alone has launched two new endpoint protection platform solutions for resellers that feature EDR components (GravityZone Ultra Suite and GravityZone Elite), with MSP variants (GravityZone EDR and GravityZone ATS) also available. As a human, when it’s hot, the last thing you need is large volumes of unnecessarily repeated activity. Yet this is how many security solutions have typically functioned. Got multiple layers you need to secure? Then investigate the threats to each one in isolation, using a layer-specific security solution, every time. Want Endpoint Detection and Response? Then manually sift through a constant tidal wave of alerts and false positives. None of this is fun, which is why machine learning scored so highly as a hot topic in our poll. It introduces intelligence that simply makes security easier, and that’s cool. Take the example of a threat or malware variant that can target multiple layers simultaneously. What machine learning makes possible is the sharing of security information across those layers, so that the characteristics of attacks that move between layers can be spotted early on, in one single, efficient process across the entire business or enterprise (Trend Micro’s Smart Protection Suites – SPS - are a great example). Machine learning has revolutionised EDR, too, enabling it to neutralise even unknown threats at pre-execution stage (Bitdefender again). This vastly reduces the traditionally ‘noisy’ levels of alerts, essentially making EDR usable at long last! Protecting data: an incendiary topic! GDPR has made many businesses’ blood boil in recent times, so it’s not surprising that our poll respondents thought this topic to be an on-trend firestarter on many fronts! Smouldering amongst the responses were how to protect data in email, how to stop sensitive data exiting an organisation, how to get data back when it’s been hacked or held hostage by ransomware, and how poor patching affects data security. Perhaps the greatest issue of all, at least as seen by some of our contacts, is that no one security vendor appears to have an all-encompassing data compliance offering. However, there are some interesting and effective solutions now available, as we recently explained in our GDPR Knowledge Brief series. Finally, when it comes to business performance, the heat is always on – which is why many of our MSP respondents wanted to raise the issue of how easy (or otherwise) it is to actually manage security solutions as a service. From where we’re sitting, the trend here is encouraging. Security vendors are increasingly offering a ‘single pane of glass’ approach, in which their security services can all be managed, and in some cases deployed, from one centralised management console. For service providers, this means less management and admin time needed, and therefore keener margins, as well as better quality of service delivery and, ultimately, higher customer satisfaction levels. Plenty there, then, to stoke up a real security debate, whatever the weather! But if you don’t agree with any of it, don’t get all hot under the collar – just get in touch and talk to us about it. Posted in Bitdefender, GDPR, Security, Trend Micro. Tags: Layered Security, Machine learning, MSP, Resellers on 20/08/2018 by Mark Charleton. 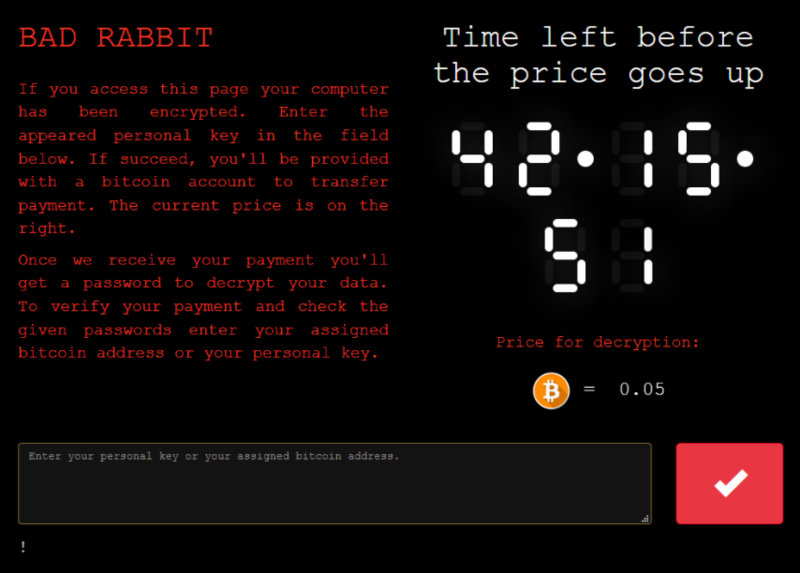 BadRabbit has munched through cyber-defences, sowing ransomware far and wide. So how does it work? And can you protect your customers against it? 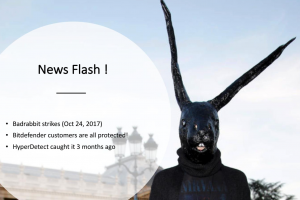 “Run rabbit, run”, goes the song – and ransomware attack BadRabbit has certainly done some running over the past few days! It has got its teeth into Russia, Ukraine and many other Eastern European countries besides, with some sources also reporting cases in Germany, Turkey, and the US. It seems only a matter of time before it spreads further afield. So what is BadRabbit – and is there any defence that can protect your customers against it? BadRabbit is cryptolocker ransomware – it encrypts Windows users’ files using a private key that is known only to the hackers’ own servers. The user must pay for access to this key, in order to decrypt and recover their files (a Bitcoin wallet appears on screen to enable this transaction to take place). Technically, according to this specialist cyber-security website, BadRabbit is closely related to the recent NotPetya attack, using much of the same code. Additionally, according to this threat alert website, BadRabbit can move laterally across a network and propagate or spread without user interaction! Can security vendors stop the naughty bunny? In short, it seems some of them can. An interesting take on keeping the cunning coney at bay, however, comes from Heimdal, who point out in this very comprehensive ransomware resource that some 85% of ransomware attacks target vulnerabilities in existing applications. By this logic, updates to software (and not just security software) are, in themselves, a key anti-ransomware security layer. What other steps can you take to protect customers against BadRabbit? For systems admin and IT people, of course, quick technical fixes in the form of ‘kill switches’ or similar are indispensable, and it turns out that BadRabbit, like NotPetya and Goldeneye before it, can be tamed by changing the properties of certain files (scroll down to the bottom of this article to find them). 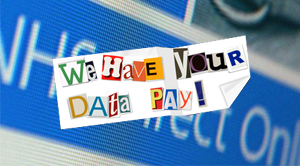 But fundamentally, ransomware works by holding your customers’ data hostage. If this data is backed up and easily accessible, as we discussed in this recent post, ransomware, by definition, loses pretty much all of its bite. It’s important, therefore, that you advise your customers well on how to choose an appropriate data backup and recovery solution. For a comprehensive list of all the other steps your customers need to take to protect themselves against ransomware, this recent article from the Carnegie-Mellon Software Engineering Institute offers some thorough advice. BadRabbit is on the loose. So share what we’ve told you above with your customers and they’ll be all ears. Posted in Backup, Bitdefender, malwarebytes, Ransomware, Trend Micro. Tags: Security on 30/10/2017 by Mark Charleton. 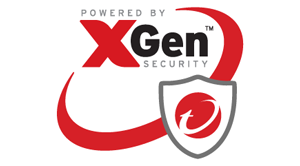 (HES) is the latest Trend Micro solution to wear the xGen badge. We take a brief look at the machine learning benefits behind the brand. For both MSPs and resellers, Trend Micro’s Hosted Email Security (HES) has always been a compelling sell, delivering powerful, serverless email protection for customers with limited IT resources. But whereas the rest of Trend’s Worry-Free Business Security Services solutions have already been plugged into the Predictive Machine Learning technology that is one of the features of the newly minted xGen brand, HES (perhaps because it’s also available as a standalone solution, outside of Worry-Free) hadn’t been – until now. Here are some of the benefits that ‘xGenned’ HES now delivers to end-users. With the threat landscape evolving at bewildering speed, checking chunks of code against databases of the known ‘usual suspects’ is only fractionally effective. Instead, security solutions now need to detect hitherto unknown and unidentified threats, too, as we described in a previous post recently - and this is exactly what the Predictive Machine Learning in HES now enables it to do. Predictive Machine Learning uses advanced file feature analysis to ascertain both the probability that a threat exists in a file, and the probable file type – and, of course, because it is learning from each example, it gets better as it goes. Once the machine learning process has identified an unknown or zero-day threat, it can then take action to keep end-users protected. If the threat is file-based, for example, the solution will quarantine the files in question, to stop the threat from spreading across users’ networks. HES shares its newfound machine learning capabilities not only with Trend’s Worry-Free Business Security Services solutions but also with OfficeScan, so this more detailed explanation of the latter’s Predictive Machine Learning features, and how they work, is worth a read. There’s a lot less cumbersome clickery involved, for a start. For example, you can now jump directly from HES into the management console of the Cloud App Security solution, whereas before you’d have had to go from the Customer Licensing Portal (CLP) to HES, then back to CLP in order to reach Cloud App Security. This is important for two reasons: firstly, to stop you losing the will to live. And secondly, because it’s a significant improvement to the overall email security workflow (Cloud App Security is needed to provide Exchange Online mail store scans as well as inspection of internal email traffic - so an easy hook-up to it is a must). In short, HES is going through the same operator-friendly evolution as many other Trend solutions - getting rid of fiddly separate passwords for each service. Ultimately, this helps partners work more efficiently and thus cut down on admin overheads, but also it makes for smoother service delivery. It’s worth noting that HES has also recently benefited from an overhauled interface, improved data insights, enhanced Time-of-Click web protection, and other additional refinements, as explored in this post - so it certainly hasn’t been standing still. But it has moved at a different speed to the rest of the xGen stable, and it’s good news for security resellers and MSPs alike that they can now tell their customers the gap is being closed! Posted in Antispam, Email Security, Hosted Email Security, MSP, Trend Micro. Tags: Security, Trend Micro, xGen on 12/09/2017 by Mark Charleton. Joining an MSP program can work wonders with channel partners’ balance sheets, as our friends at Trend Micro explain in this blog! We’re always keen to share compelling insight from our vendor partners, and Trend Micro have nailed it with their blog Five reasons you need to join an MSP program….today! Five reasons you need to join an MSP program… today! It is not uncommon for our partners to earn in excess of 100% profit margin on the security solutions they are providing to their customers as part of their managed service agreements, which is probably a much higher percentage than what you are earning now if you are just buying annual licenses when your customers’ licenses expire. Let me explain how in two words: aggregate pricing. Put simply, MSP programs typically offer pricing on an aggregate seat count basis, which means that you are paying for licenses based on the total number of clients you currently manage. This can be a significant difference as business grows and you move in to cheaper and cheaper seat bands. To figure out just how much margin you are missing out on ask your vendor how much it costs per seat in the lowest price band (typically five to 25 seats) vs. the cost per seat in the price band that represents your entire customer base. That number is the extra margin you are missing out on. Compared to the feast-or-famine nature of revenue in a break-fix business model, predictability is one of the primary benefits of being a managed service provider. Joining an MSP program helps you further streamline and predict both the revenue from your customers, as well as your service delivery costs. This one is a bit of a twofer since you can more easily calculate revenue projections and do forecasting into the future. You can also calculate cost projections and get a much better understanding of the health and future growth potential of your business. The icing on the cake is that the value of your business increases as well as your revenue streams–a critical component of your exit strategy. The great thing about being an MSP is that you are forced to heavily focus on automation and repeatability since controlling costs directly impacts your bottom line. Once you’ve joined an MSP program, you will generally have the ability to create multiple recurring revenue streams if they have a broad product portfolio. Once you have created processes and trained your staff around the tools provided as part of the MSP program it’s very easy to “turn on” any additional products your vendor may offer across your entire customer base. This can be done in a very efficient and cost-effective manner, with each of these products representing an additional recurring revenue stream and more profit. There may be some tax and accounting benefits to joining an MSP program and moving from purchasing annual licenses upfront for your customers to paying for licenses monthly or quarterly — or moving from CapEx to OpEx. The main benefit is the ability to recognize deductions completely in the current period vs. recognizing them over the useful life of an asset (that is, if you buy a three-year license and deduct it over those three years). Disclaimer: We are a cybersecurity company, not tax experts. Therefore, we highly recommend discussing this with your accountant or tax professional to weigh the pros and cons and how it may affect your business specifically. Lastly, a good MSP program will give you complete control over license management and provisioning from a self-service portal. 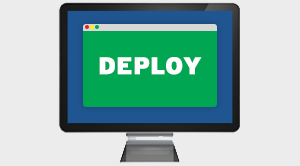 This allows you not only to provision licenses when you need them (think evening or weekend deployment when you forgot to place an order three days in advance), but also to eliminate all the hassles, complexity and costs associated with renewals. In essence, since you have complete control over the licenses, an expiration date is no longer necessary–you can simply cancel the license when you need to. If you’ve never figured out what it costs you to track disparate expiration dates across your entire customer base for every product, to request quotes from your vendors, to create invoices for your customers, to follow-up on payments from your customers, and to submit payments to your vendors just to renew a product, then you probably should! Most partners we meet who go through this exercise are shocked to find out they often lose money on smaller customers because they did not factor the costs of renewing into their pricing or business model. Blue Solutions is a specialist security software distributor with many years’ experience in helping partners take their MSP security proposition to market. To talk to us about our range of MSP security solutions, get in touch. Posted in MSP, Security, Trend Micro. Tags: MSP program on 25/07/2017 by Mark Charleton. Petya ransomware: is there really a ‘vaccine’? Organisations in Europe and the US have been crippled by a ransomware attack known as ‘Petya’. There are claims of a ‘vaccine’ to stop it – but how credible are they? Hot on the heels of WannaCry comes Petya – a nasty ransomware variant, based on the Goldeneye code. It has already locked some of the world’s most prominent enterprises out of their data, including construction materials company Saint-Gobain, food giant Mondelez, legal firm DLA Piper, and advertising firm WPP. But lo! There is a ‘vaccine’ that protects against it, apparently! Simply include the file C:\Windows\perfc.dat on the PC, and the ransomware is stopped in its tracks. 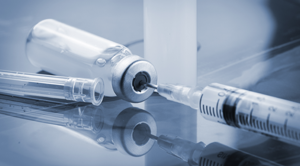 We took a look at what some security vendors are saying about Petya / Goldeneye – and whether the idea of a ‘vaccine’ is truly credible. The first thing that struck us is that security vendor Bitdefender has had a ransomware vaccine available for some time now, and it’s not just a quick fix using a read-only file. Instead, it’s rather cleverer than that. It tricks ransomware into believing the machine is already infected, and so the attack goes looking elsewhere. In addition, it can be deployed to every machine on a network simply by ticking a box – meaning that one machine can’t pass the infection to another. There’s little information at present, admittedly, as to whether this vaccine is effective specifically against the Petya /Goldeneye attack. That’s pretty unequivocal. And what’s particularly interesting with this vendor is that the ransomware vaccine is standalone – businesses don’t need to have invested in Bitdefender’s suite of other security solutions to use it. Trend Micro has an established stable of solutions that provide layered protection against a whole range of threats, including ransomware, so they’d surely argue that a ransomware vaccine is unnecessary! However, what they do also offer is decryptor tools that enable users to recover data even after their files have been encrypted by certain variants of ransomware. So, more antidote than vaccine – but it’s worth noting that these decryption tools are free, so they could be a lifesaver (and pave the way to more proactive anti-ransomware strategies and product choices in the future). However, Malwarebytes also publicly says that customers using Malwarebytes Endpoint Security are protected against this specific ransomware variant – so, once again, a vaccine is – theoretically, at least – unnecessary. For more of our thoughts on ransomware and what security vendors are doing to fight against it, check out our previous post here. And remember – prevention is better than cure, so keep patching! Posted in Bitdefender, Ransomware, Security, Trend Micro. Tags: Petya ransomware on 28/06/2017 by Mark Charleton. The WannaCrypt0r ransomware floored the NHS and many other organisations besides. These guys reckon they could have stopped it. WannaCrypt0r, the global cyber-attack that paralysed 45 NHS trusts, plus businesses in over 100 countries, has woken the world up. It’s woken a few security vendors up too, as the flurry of emails in my inbox over the weekend shows. And, predictably, they’re all keen to tell us that customers running their security software were protected from WannaCrypt0r’s terrifying exploits. Here’s a summary of the claims each of these wannabe ‘WannaCrypt0r-killers’ have made. It will be interesting reading for those who are contemplating where to go next with their anti-ransomware strategy! How so? Bitdefender has a ‘ransomware vaccine’ that users can switch on to immunise machines, and this uses the ransomware’s own programming against it. But at a deeper level, it boils down to the ability to detect memory violations – in other words, to understand when a machine’s memory is being tampered with, which indicates that a cyber-exploit is afoot long before it can actually execute and cause any damage. It’s this kind of device behaviour, Bitdefender implies, that, with their GravityZone products, would have shut WannaCrypt0r down before it even really got started. It’s machine-learning that’s writ large in the Trend Micro response to the WannaCrypt0r incident. “Customers are already protected against this threat through Predictive Machine Learning and other relevant ransomware protection features found in Trend Micro XGen™ security,” the firm claims. Of course, if WannaCrypt0r has shown us one thing, it’s that ransomware is perfectly capable of activating before it reaches the end user! However, a beacon of hope in Trend Micro’s communication that I did not see elsewhere is that it has a tool that can decrypt files affected by certain crypto-ransomware variants, meaning victims would not have to pay the ransom in exchange for a decryption key. Like Bitdefender and Trend Micro, this is hinting at some sort of intelligent analysis of machine and network behaviours that might predict a ransomware attack, before it actually starts to execute. Malwarebytes’ four-layered security approach – operating system, memory, application behaviour and application hardening – contributes to this detection capability, as it monitors at multiple system levels for ransomware and other exploits, simultaneously. There are few certainties in cyber-security but what experts are predicting is that wave two of the WannaCrypt0r attack will come soon – and wearing a different guise. Will the security solutions above recognise it rapidly enough to combat it? Let’s see whether the communications live up to their word. Posted in Bitdefender, malwarebytes, Ransomware, Trend Micro. Tags: Security on 16/05/2017 by Mark Charleton. Upgrade Worry-Free to keep ransomware at bay! If you don’t manage your Trend Micro Worry-Free Business Security upgrades properly, your customers could be at risk from ransomware! We explain what to do. 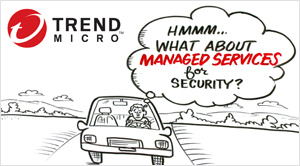 If you sell Trend Micro’s Worry-Free Business Security Standard or Advanced editions, you’ll know that both come with a convenient management console that enables you to easily watch over and control the security services you deliver. But if you don’t act on the information and alerts you receive, and keep your solution up to date, it could mean that your end-user customers are at greater risk from threats like ransomware! 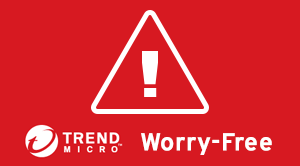 Renewals of Trend Micro’s Worry-Free for Business Standard or Advanced editions do not automatically upgrade to the latest version, so you need to manually manage this process yourself. Happily, it’s an easy thing to do. There’s a link to Trend Micro’s Download Center at the top of every console homepage. Click to upgrade your renewed Worry-Free Business Security edition to the latest version (see images below). 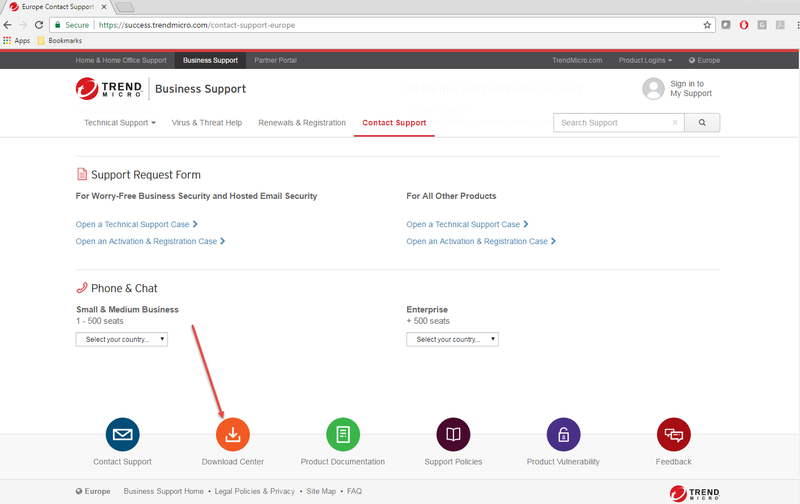 Alternatively, you can go to the Help tab, click on Support, and then click on the Download Center icon at the bottom of the page (see image below). No uninstall or reinstall is required, the upgrade will automatically be picked up from the server by all the connected security agents, and your customers will stay protected. If you’re not on v.7 or upwards, you won’t get console notifications, so you need another way of receiving them. And even if you are on v.7 or upwards, there’s certainly no harm in having a backup notification channel to be doubly sure the message hits home. 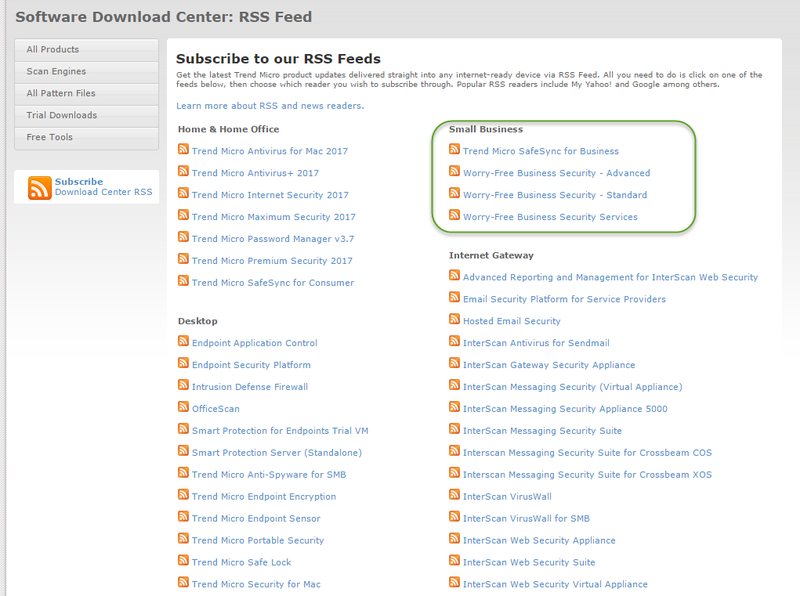 This is why the Download Center website supports RSS. You can set up upgrade notifications and reminders from that site straight into your RSS feed (see image below), and then go into the console to act on them. 3. Act on those notifications! As we’ve shown above, the console – even in pre-v.7 guise - contains the necessary links for you to download upgrades or service packs, and you can also find these links in the Download Center, whose icon is at the bottom of the console page (see image above). So it’s a cinch to stay ahead of the game – but you do have to make sure you download the upgrades and packs promptly from the links. That way, your customers will continue to be fully protected. But miss an upgrade or a service pack, and fast-moving, destructive threats like ransomware are, in all probability, already one step ahead of you and your customers alike. And that will prove very worrisome indeed. Posted in Ransomware, Trend Micro. 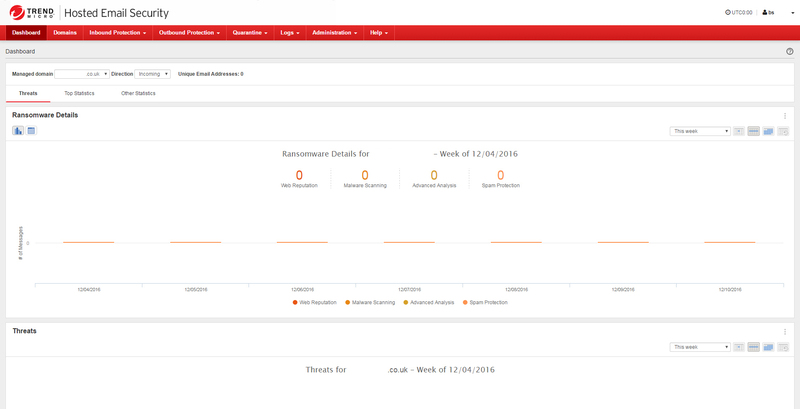 Tags: Security, Trend Micro on 13/03/2017 by Mark Charleton. Licensing management for security MSPs – who does it best? If you’re a managed security service provider, you’ve got an awful lot on your plate when it comes to licensing. Try to manage it all using different tools and you’ll rapidly flay the flesh from your profitability – and probably send your customer satisfaction levels plummeting, too. Logically, the solution is to somehow combine all the licensing functions in one place, making them both accessible and easy to use. But is any security vendor actually offering this? And if so, does it really deliver on the promise? For our money, the answers to these questions are “yes, Trend Micro” and “yes, here’s how”, respectively. 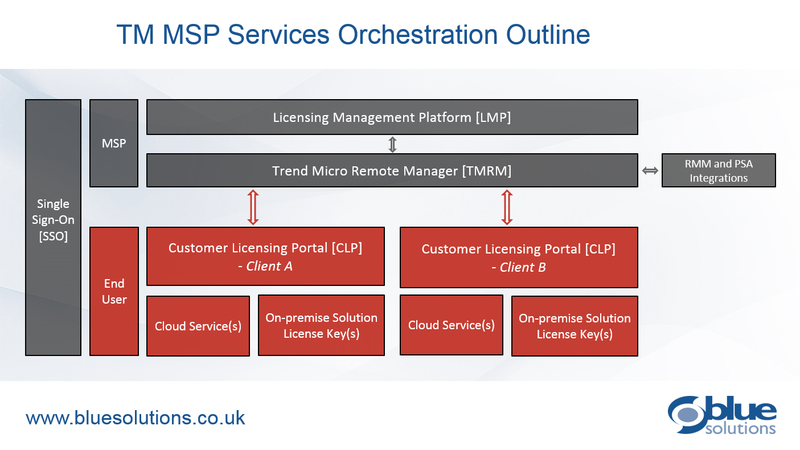 The first thing that is striking about Trend Micro’s Licensing Management Portal (LMP) is that, in contrast to some other so-called “single pane of glass” management tools, it isn’t just available for a core technology that so far only underpins one or two finished products. So it makes it possible for MSPs to centrally manage, from a single sign-on system, multiple instances of both “point” solutions like Cloud Application Security (a topic we discuss further in this post), and more comprehensive solutions like the Worry-Free Business Security range. Let’s not gloss over the pain that this alleviates. It eliminates wait time associated with ordering licences, because LMP is available 24 x 7 x 365. It automates the tracking of renewals and expirations. And it eliminates the complexity and cash-flow risk associated with manual billing. This capability stems in part from the fact that LMP also contains within it Trend Micro’s Remote Manager. This radically streamlines many of the licensing management processes by plugging them into industry-standard RMM and PSA solutions like Autotask, ConnectWise, Kaseya and LabTech. So, you no longer have to manually drive your billing process, for example. Instead, LMP can use ConnectWise to auto-issue invoices and create end-to-end billing the moment a new endpoint or device is deployed. Likewise, there’s a lot less juggling of multiple processes in order to set customers up. LMP syncs with LabTech, so you can map customers from LMP to customers in your LabTech solution, and then, within the latter, just “point and shoot” to deploy, issue licences etc. No jumping around between applications! Whilst we’re on the point of service plans, it’s worth mentioning that LMP has rewritten the rulebook somewhat in this respect too, offering real flexibility. You can activate licences into live services in any number of formats – monthly, yearly, quarterly, on receipt of PO – and you can schedule in additional features so that they don’t have to be managed manually. For example, a new customer that has committed to your services for two years initially, but whose contract needs to revert to a monthly rolling arrangement after this initial period, can have a service plan created in LMP that will deliver this arrangement – automatically. From where we’re sitting, it’s probably the only example of a service plan mechanism that combines customer-friendly flexibility and features with management tools that don’t place an unsustainable drain on your resources! Of course, if you can’t easily see what’s billable, automated provisioning and service plans won’t stay viable for very long! Here, too, LMP shines. Not only is the reporting itself automated, it provides up-to-date detail of everything that has been in any way consumed by the end-user, ensuring that consumption and billing are always in step with each other. At the same time, the automation allows a window of manual adjustment to cope with cancellations, error correction, atypical deployment scenarios, and other exceptions. In essence, LMP has enough automation to make the majority of billing scenarios far easier – and far more economical – to manage. But what’s really innovative in LMP, in our view, is that it enables the end-user to manage some of their own licensing, giving them the convenience of direct control, whilst also (let’s be candid) fattening your margins by reducing your workload! This is because LMP contains a Customer Licensing Portal (CLP), which enables customers to manage licence keys for selected parts of their security estate, based on role. That partial autonomy and flexibility works for them, which makes you look good. But the fact that the CLP can also carry your own branding will do your business profile no harm at all, either! “Nobody does it better”, goes the old song. And at the moment, our Trend Micro team seems to be singing it around the office quite a lot. Funny, that. Posted in MSP, Security, Trend Micro. Tags: Licensing, MSP on 09/03/2017 by Mark Charleton. 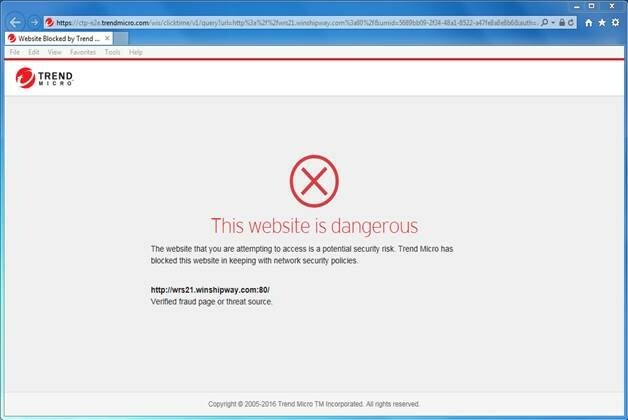 What’s new in Trend Micro Hosted Email Security? 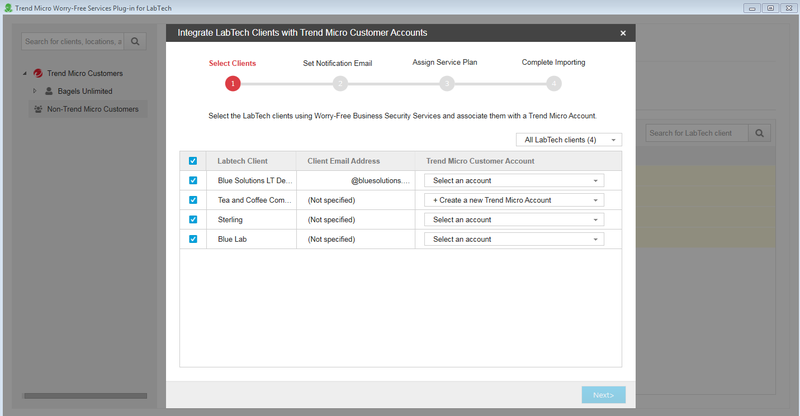 Trend Micro HES has long been an attractive cloud solution for users who want email security without on-site hassle. Read how it just got better! Here’s how Trend has taken HES to the next level. Trend has now extended the successful interface designs found elsewhere in its stable of solutions to HES too, meaning that if you can “drive” other Trend solutions (like Worry-Free or OfficeScan), you can now just as easily drive HES. For both end-users and service providers, this potentially means smoother workflows, easier internal adoption, lower training and implementation costs, and, overall, sharper ROI. Trend has brought HES into line with its standard interface design and given its threat analysis tools a shot in the arm. An improved dashboard in the solution now also makes it easier for end-users and service providers to glean more information about the threats they face, thanks to advanced analysis details and top advanced threat charts. 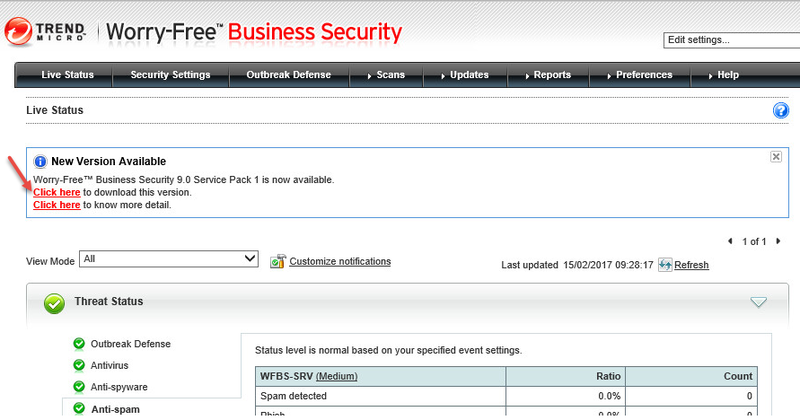 New in Trend Micro HES, (2): Sandboxing now comes for free! 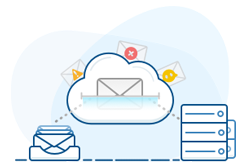 Sandboxing – the ability, in the context of the SMTP protocol, to take mail offline and rigorously test it for threats before it reaches the recipient – is a potent tool in the security partner’s armoury. But, typically, it’s also very costly – and it’s here that Trend has broken the mould. HES now includes free-of-charge access to new sandboxing solutions including Advanced Threat Scan Engine and Social Engineering Attack Protection. Tick a box, get sandboxing for free – Trend’s Christmas present to service providers seeking to add value to their customers’ accounts! Advanced Threat Scan Engine uses combined pattern-based and heuristic scanning to not only combat known email threats, but identify characteristics and behaviours that can suggest new ones (making it particularly effective against stealth threats like ransomware and zero-day exploits). Social Engineering Attack Protection (now built into the AntiSpam Engine) is part of Trend’s recently much-vaunted machine learning stable, which includes the XGEN solutions. It detects suspicious behaviour in multiple parts of each email transmission, including the email header, subject line, email body, attachments, and the SMTP protocol information. 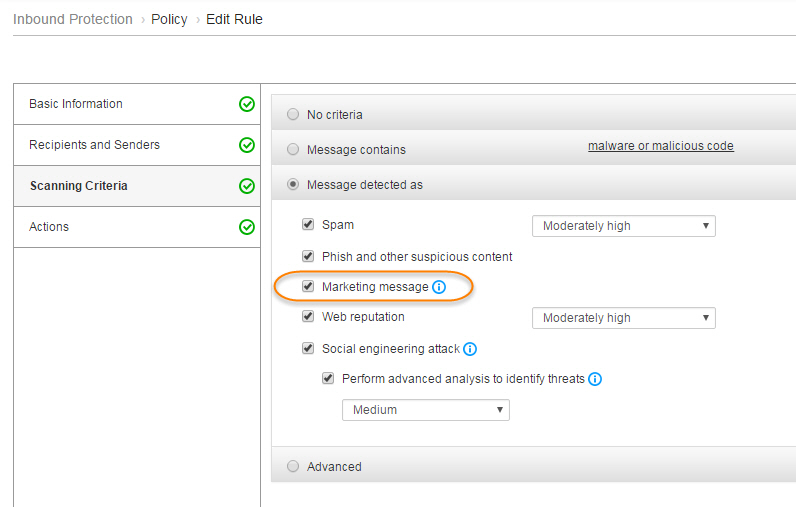 Suspect messages are returned to Hosted Email Security for further action or policy enforcement, ensuring the attack does not reach its target. These services are easy to activate too, by simply ticking a policy check box – convenient for end-users and service providers alike. Spoofed email identities are the gateway to unwitting activation of all manner of threats, from phishing, to whaling, to dangerous attachment payloads, and more. 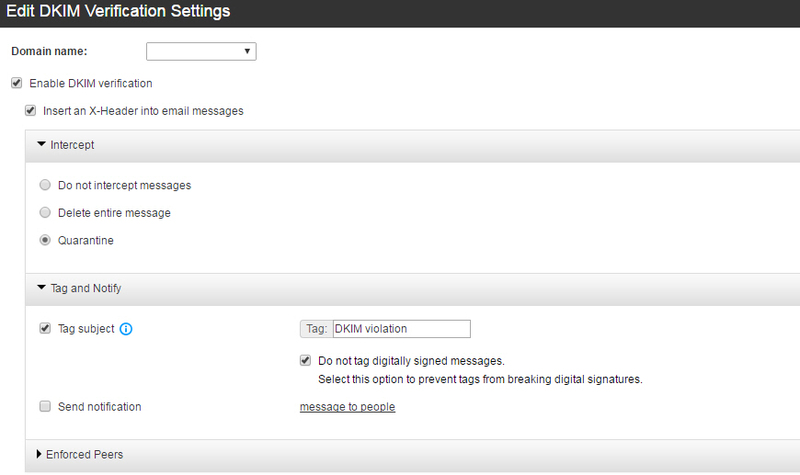 HES now supports DKIM (Domain Keys Identified Mail) signatures in both incoming and outgoing messages. These authenticate the domain name associated with a message to detect any mismatches, which in turn protects users against receiving messages that have been tampered with – for instance, to spoof the sender name. Spoof email? That’s so passé! Trend has consistently led the field in anti-spam protection, but the reality is that what is often defined as marketing spam can in fact be a source of new opportunities or competitor intelligence for some departments in your customers’ businesses. For this reason, HES now offers email segregation, which enables certain types of user or policy group within the end-user’s organisation to choose to receive marketing and promotional email (whilst still subjecting it, of course, to all the other new and existing HES security features). Yes, please market to me! Or just don’t, OK? Boosting Trend’s already significant arsenal of web reputation and security solutions, Time-of-Click protection automatically rewrites URLs contained in received emails. This means that the default action when a user clicks on these links is not to take them straight to the site concerned, but to submit that underlying site to Trend for real-time prior security and reputation analysis. The delay for the user in accessing a legitimate site is fractional, but the protection against accessing non-legitimate sites is comprehensive, since no access is granted until HES has confirmed that the site is not a source of threats or reputational damage. There’s not the space here to cover off all the detail, but suffice it to say that Trend’s latest version of HES delivers additional benefits that could enable service providers to really differentiate their offering in both existing and new accounts. Here’s a full list – and you know where to come if you want to discuss it! Posted in Hosted Email Security, MSP, Security, Trend Micro. Tags: Hosted Email Security, Trend Micro on 12/12/2016 by Mark Charleton.